New government and industry programs seek to address the three-year transition gap and scale up sustainability. Americans are clamoring for organic food, but U.S. farmers are no longer growing a significant portion of what customers are buying. Despite close to $40 billion in organic food sales in 2015, less than 1 percent of U.S. farmland is certified organic, with the bulk of raw ingredients for organic processed foods and animal feed coming from places like Romania and Turkey. Now, the people behind two new certified transitional programs hope to chip away at that disparity. A 2015 report from California Certified Organic Farmers (CCOF) identified challenges associated with the transition period as the number-one barrier preventing farmers from going organic. Here’s the problem: In order for a farm to be certified organic, the soil must be free of synthetic fertilizers and pesticides for three years. So farmers who decide to make the switch face a period of limbo. Adopting organic practices often requires more labor, more paperwork, and it nearly always comes with an increase in costs and an initial decrease in production per acre. Once those three years are up, farmers generally earn a higher premium for their certified organic crops, but many don’t have the capital or cash flow to take the risk. 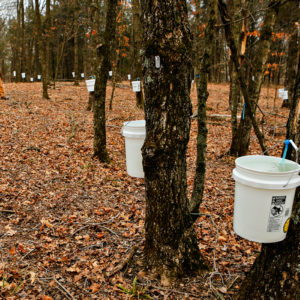 “Transitional” certification programs verify that those farms are using organic practices and are on their way to full certification, in hopes that the third-party stamp of approval will lead to earlier price premiums, a smooth transition to certified organic, or contracts that lock in buyers for forthcoming organic crops. 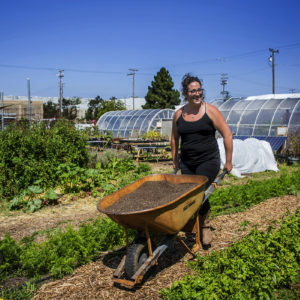 As far back as 2002, the National Organic Standards Board (NOSB) outlined recommendations for the use of the term “transitional” in organic agriculture, and many certifiers—like CCOF and Oregon Tilth—already offer their own versions of certified transitional programs. Two recent developments are building increased momentum in the space. In January, the Organic Trade Association (OTA) and U.S. Department of Agriculture (USDA) announced the National Certified Transitional Program (NCTP), a standard developed by the OTA with the authority of the government agency overseeing it. “We had some of our members come to us wanting to see a harmonization of the existing transitional standards that were out in the marketplace and to roll them into a single, cohesive program that was overseen by the USDA,” explained Nate Lewis, OTA’s farm policy director. Accredited certifying agencies can now apply to offer the voluntary certification, and the USDA will put out a list of the first group of certifiers later this month. Once approved, agencies will be able to certify farms as “certified transitional,” but the standard does not include a consumer-facing certification for products. In other words, farmers will be able to claim their products are certified transitional in negotiations with buyers, but there will be no evidence of that claim on the grocery store shelf. That omission was intentional, as OTA wants to make sure it isn’t creating a new market that could then compete with organics or consumer confusion that dilutes the overall meaning of organic. Meanwhile, another program is making waves (of grain), thanks in large part to a publicity push by Kellogg’s natural foods subsidiary Kashi. 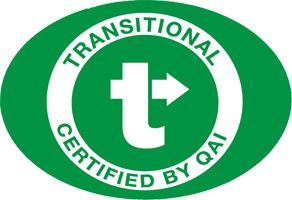 In 2016, Kashi partnered with organic certifier Quality Assurance International (QAI) to develop its own Certified Transitional standard for farmers growing domestic ingredients for the company. Since then, the number of farmers certified by the program has risen from two to 11. The label applies to close to 3,500 certified acres, where farmers are growing transitional wheat, dates, sorghum, almonds, soy, oats, and rice across states such as Kansas, Louisiana, and California. That consumer-facing element is “critical” to the success of certified transitional initiatives, said Nicole Nestojko, Kashi’s senior director of supply chain and sustainability. “Retailers and consumers want transparency. They want to know what you’re saying is true, and that you’ve verified it through a third party,” she said. Both the QAI and USDA programs say the number one goal is to convince farmers to move over to organic production, but is a transitional certification enough of an incentive to make that happen on any kind of large scale? For starters, says Lewis, it will make things smoother and easier for farmers who already want to go organic. By the time they reach the three-year mark, “they’ll know what an inspection is like … they’ll have a relationship with the certifier,” he said. And those farmers will also have already had time to get used to new practices like crop rotation, weed management, and organic sourcing. “You actually have a more effective organic system in place, because you’ve already had to meet the requirement,” noted Lewis. The financial cost of this period is still the biggest issue, then, and the price premium paid for transitional crops is the dangling carrot with the most potential. It’s easier to see how this may work within Kashi’s system. Nestojko says the company is recommending retailers charge close to organic prices for products with the Certified Transitional seal. That premium then trickles down from the shelf to the processer, to the farmer. How much more a farmer might receive greatly depends on the commodity, she said, but it would essentially be right in between conventional and organic. (So if a conventional price was $1 and organic was $2, certified transitional might be $1.50). Since the USDA’s certified transitional program does not include a consumer seal, however, products made with those commodities are unlikely to command higher prices. Instead, Lewis says the goal is for the certification to encourage buyers looking to secure organic supplies to contract with a farmer in transition, offering a premium price in exchange for a commitment to supply certified organic crops in the future. “Those types of contracts are already in place, but having a certificate reduces the risk the buyer takes on,” he said, although he acknowledged the argument is so far based on anecdotal evidence, with little data on how many buyers may actually jump on these opportunities. 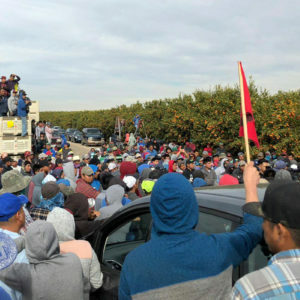 For example, in 2015, Clif Bar entered into a seven-year contract with a California fig grower to help the farm transition 300 acres of orchards to certified organic production. 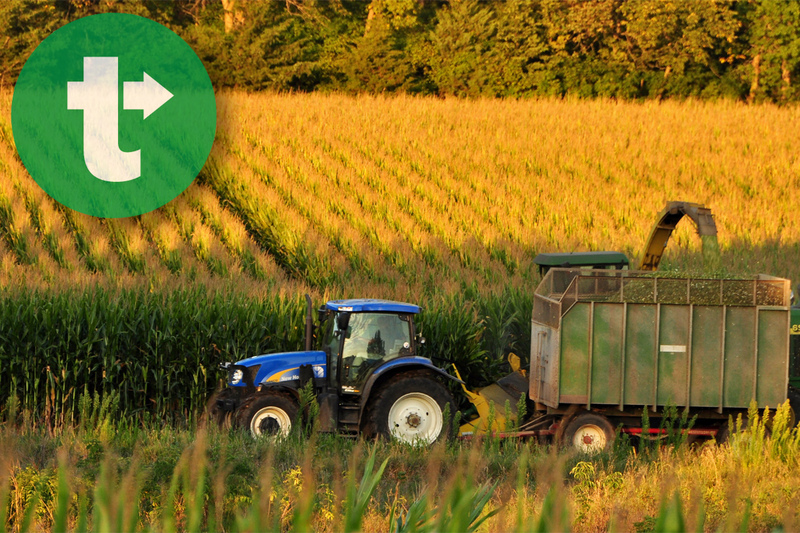 Of course, transitional certification won’t solve all the challenges for farmers in transition. Cheap organic imports, especially of feed grains, have been driving down prices for organic, and if higher prices aren’t guaranteed after three years, farmers may be more wary of making the switch. Lewis says it’s a real problem, but that transitional labels have the potential to help American farmers take back the market so that fewer imports are necessary. “I don’t think it’s going to be the silver bullet,” he said. “It’s going to be another tool in the toolbox.” The OTA is also working on issues like improving the infrastructure needed to store and transport organic grain, another area where there’s currently a significant gap. Emily Oakley, the owner of a small organic farm in Oklahoma and a current member of the NOSB, also pointed out that certified transitional programs may primarily benefit farmers growing commodity crops on a large scale. On the other hand, farmers who sell directly to consumers have the benefit of providing more transparency, and that can solve some of the same problems. While her land was still transitioning to certified organic, for instance, Oakley was able to charge a premium at farmers markets and explain the transition process to customers in person. But if growers of large commodity crops are convinced to go organic with the help of certified transitional programs, that could mean a much better long view for organic agriculture’s overall future. Farm photo CC-licensed by Harvest Begins. I want organic so I will support the Transitional standard as long as it leads to organic. The Washington State Department of Agriculture's Organic Program has been certifying transitional farms since 1988. The current USDA program was largely modeled after those standards. Too bad that was left out of this article! Washington farmers are way ahead here, and even though transitional apples and pears still get conventional prices, it's a great benefit to the operation to ensure they are in full compliance with the organic regulations well prior to their first anticipated organic harvest. And now that cost share funds are available for certified transitional farms, hopefully more farms will adopt organic practices!! The Certified Organic Transition Program put together by the OTA and released through the USDA is an illegal program. If it were to move forward (which it won't) it would create a perpetual oversupply of organic foods which will only hurt the farmers. I've been certified organic for 10 years. We got no help during the 3 year transition period. It was a huge investment to become certified organic. The only companies who want this program are those looking to sell more products. This program will be pulled in the next week. I live in a small rural village surrounded by cultivated fields. We all have individual wells. 50-75% of the homes either have or had cancer patients in them. We have less than 100 people total. It would be a blessing if more farmers around here could try to go organic. The farmers markets within 10 miles cannot guarantee organic produce because of drifting and water contamination. Some of the farmers are pretty belligerent about spraying neighbor yards and gardens.